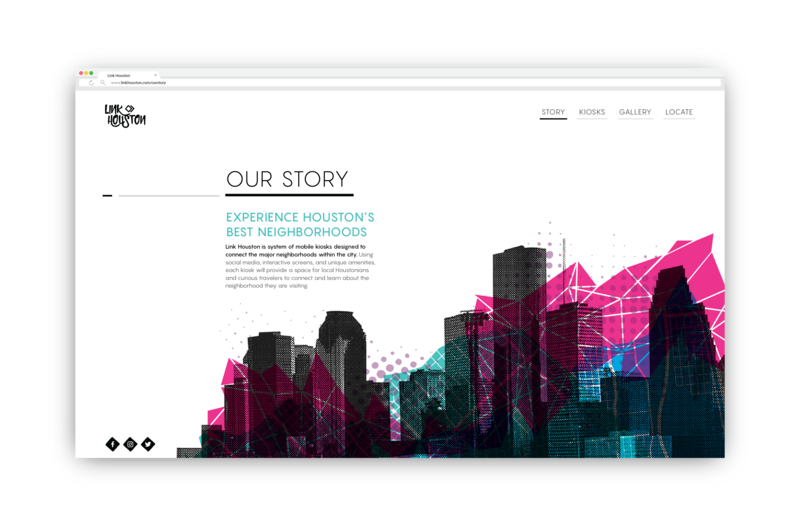 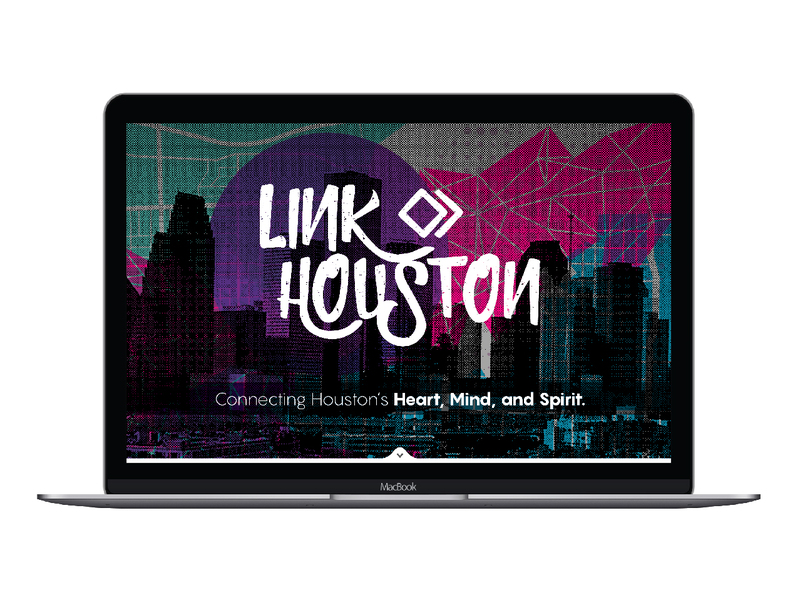 This website is designed to fully support the Link Houston Kiosk system. 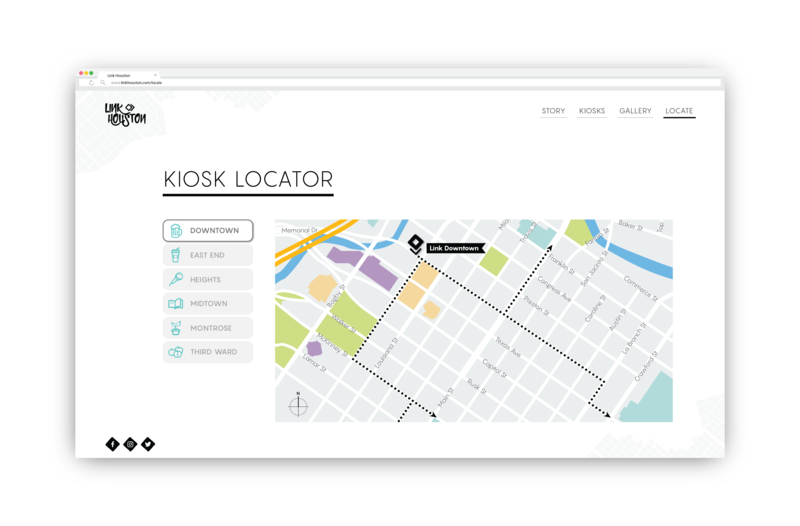 It helps keep visitors informed and more connected with their neighborhood kiosks. 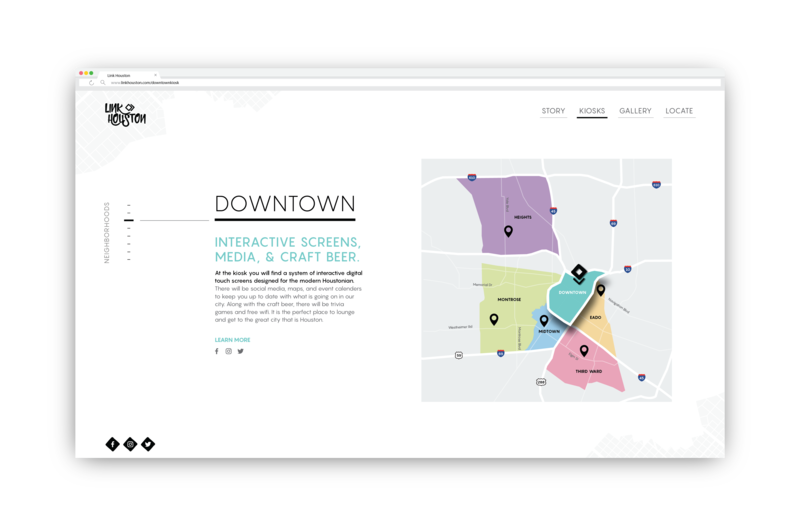 Along with provided the basic information for each neighborhood and Link Houston kiosks, the website also serves as a locator. 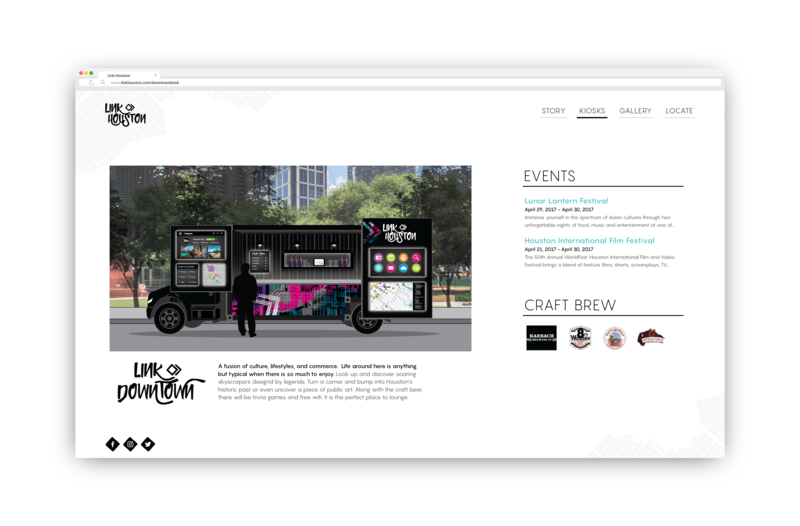 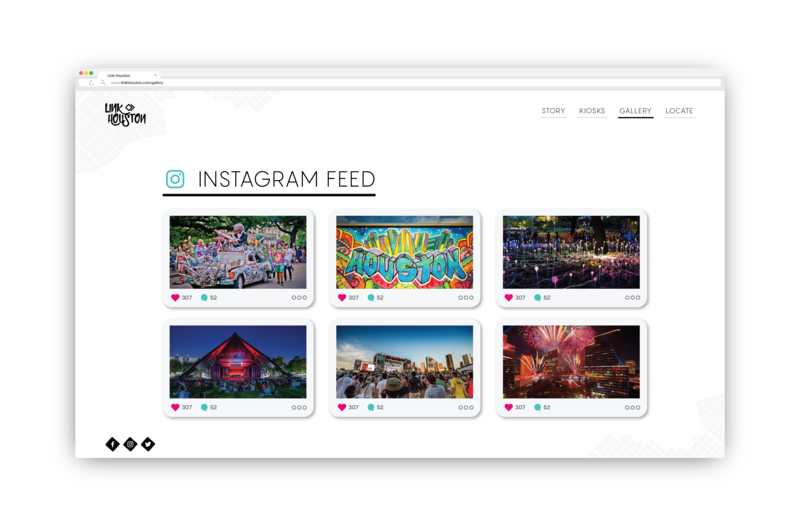 Visitors can find out where the kiosks will be on specific days and will also be provided with a constantly updated social media feed.